5 Opinions have been expressed on “未草の椅子あとすこし”. What is your opinion? Thank you for your reply. Perhaps a few more details about my situation would be helpful. My wife is a university professor, who will be affiliated with the International Research Center for Japanese Studies in Katsura, Saikyo-ku. We’ll be living near to Katsura station from August 2010. Where is your workshop/studio located in Kyoto? 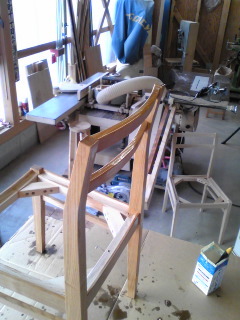 It sounds like you are sharing the work space with other craft people. Could you please explain more about it? My wife understands Japanese (her translation appears below), so please don’t hesitate to write in Japanese. Thank you for your time. My English language is very limited,too. but I`m looking forward to you! Mr. Kawai suggested that I contact you. 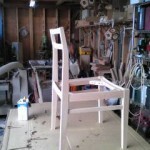 I’m a furnituremaker, currently living in Ottawa, Canada. 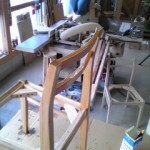 Our family will be living in Kyoto from Sept. 2010 for a year, and I’m exploring possibilities related to woodworking such as sharing a workshop or teaching woodworking. I would be grateful for any assistance that you can offer in this matter. 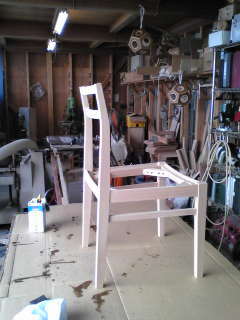 My Japanese language is limited, but I’ve worked with a Japanese furnituremaker in Japan. I look forward to hearing from you.